CLAREMORE — On Nov. 15, 2018, Rogers County Sheriff’s Office requested OSBI assistance in investigating a burned body found in a trailer at 15400 East 495 Road in Claremore, Oklahoma. The victim was later identified as Ricky Swan, a white man, born Sept. 10, 1958. Through the investigation, Kevin Foster, a white man, born Jan. 23, 1986, was identified as a suspect. 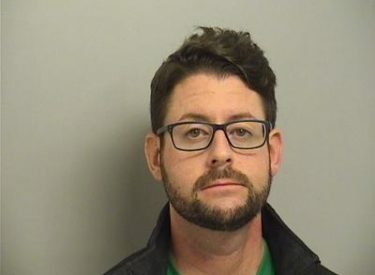 Foster was located and arrested at his home in Bixby, Oklahoma. On Dec. 4, Foster was formally charged in Rogers County District Court with Murder I, Arson I, Desecration of a Human Corpse, Possession of a Firearm in the Commission of a Felony, Burglary II (two counts), Disturbing a Tombstone, and Public Intoxication. Foster is being held in the Rogers County Jail on no bond.